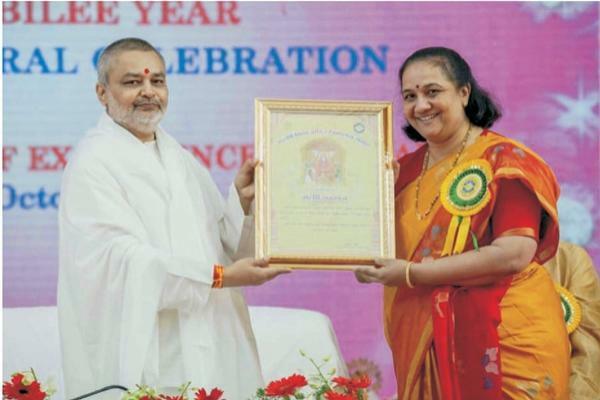 Mrs.Vasanthy Parasuraman Principal Being Felicitated With The Maharishi Samman on The Occasion of Silver Jubilee Celebrations. 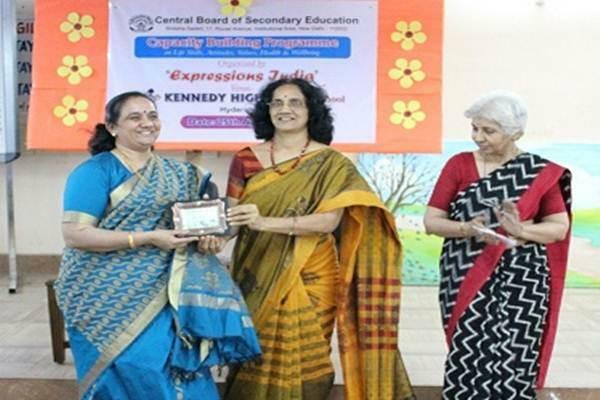 Principal Mrs. Vasanthy Parasuraman was selected by the CBSE as Master Trainer for Continuous and Comprehensive Evaluation. She has been appointed as Observer to oversee the life skills co scholastic programmes. Near Hi Tech City, R.R. Dist.